On the 5th February, the dutch national newspaper, NRC, published an article on FATBERG titled “Drijvende ‘fatberg’ die groeit als een tumor”, translated as “floating ‘fatberg’ that grows like a tumor.” The article, written by Tracy Metz, was based on an interview where we were discussed all things FATBERG. It was to our surprise then, to read the reference to a tumor in the headline. In all honesty, we possibly made reference to this ourselves, as a way to flippantly describe the FATBERGs growth, however, here lies an interesting conundrum. Should a fatberg be considered a tumor? Isn’t this negative perspective precisely the reason why we build a floating island of fat? A tumor, by definition is “a swelling of a part of the body, generally without inflammation, caused by an abnormal growth of tissue, whether benign or malignant.” No-one can deny that the FATBERG is abnormal, certainly not in the sense that the physical act of building the berg deviates from what is considered the norm, or usual. But the very use of the word “tumor” implies that fatberg is unwanted, or undesirable. In this instance it is anything but. 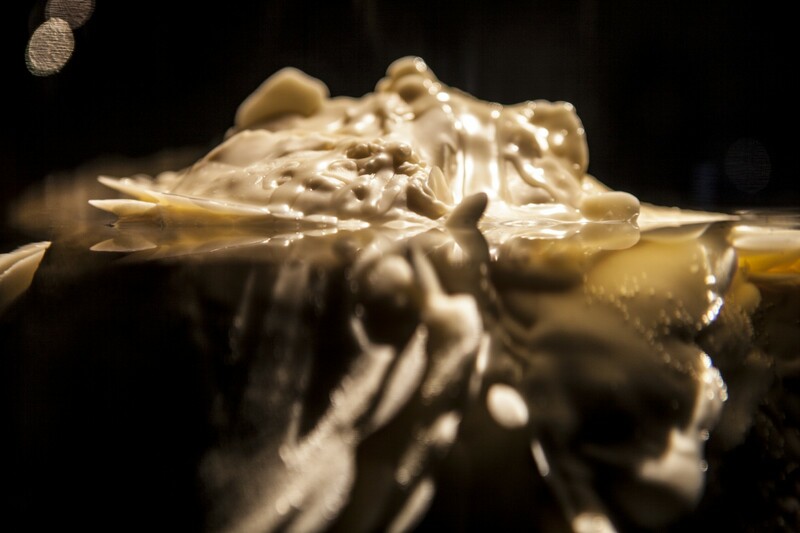 FATBERG exists to release fat from it’s deeply rooted foundations. To question what fat is, what it wants to be, and what could it become. What is true, however, is that while fats presence has grown, its function has diminished as a direct result of its overabundance. Looked at from this perspective, fat has unfortunately become an unwanted vestige of human physiology and behaviour. Simply put, fat is seen as abhorrent, or waste, because we treat it as abhorrent or waste. More positively, this means the opposite is also true – as far as we use it, it has a use and a meaning.